To celebrate National Ice Cream Day (July 16th), VIU hosted a surprise ice cream social for its employees on Monday, July 17th. 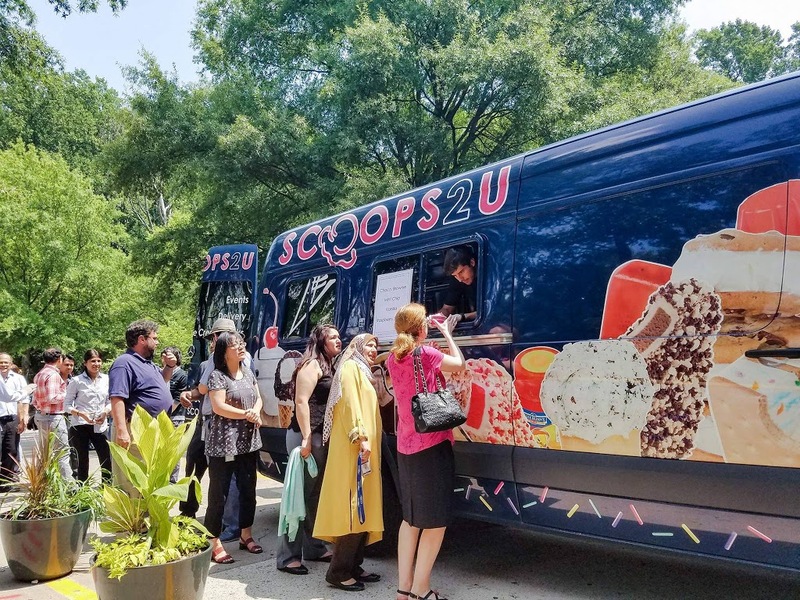 Following a scheduled fire drill, employees gathered in the back of the building to enjoy the special treat on a particularly hot day. While the fire drill on July 17th was only practice, it is important for all employees to know what to do and where to go in the case of an emergency. Please take the time to check the evacuation plan on the back of your office door and become familiar with what zone you are in and where you are supposed to meet in the event of a fire or emergency.